When it comes to selecting a pair of binoculars for use on a boat, some choices are better than others—but if you are not up to speed on what to look for, making the right choice can be tough. Just what is the difference between 7 x 50’s and 8 x 32’s? What about prisms? Are coated optics important? 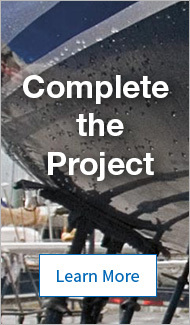 This article demystifies the nomenclature and the numbers, so that you can make the right choice for your budget and your boat. Binoculars are described using two numbers, such as 7 x 50 or 8 x 25. The first number identifies the magnification or power. The second is the diameter of the objective lens (the lens at the front) in millimeters. Magnification power describes how much closer objects appear when you view them. In a 7 x 50 binocular, the image is magnified seven times. Increased magnification reduces the brightness of the image, so as magnification increases, binoculars require increasingly larger objective lenses to maintain brightness. The larger their size, the more light they can gather. Magnification: Many binoculars used for birdwatching or other land applications have too much magnification for use on rocking, pitching boats. The more an image is magnified, the harder it is to keep an object in view, so 7x power is the practical magnification limit for small boats (under 50'). Image stabilizing binoculars allow comfortable viewing with much greater magnification, up to 18x power, because they automatically compensate for movement. Waterproof construction: The damp marine environment, combined with changes in temperature, causes interior lenses of non–waterproof binoculars to fog. 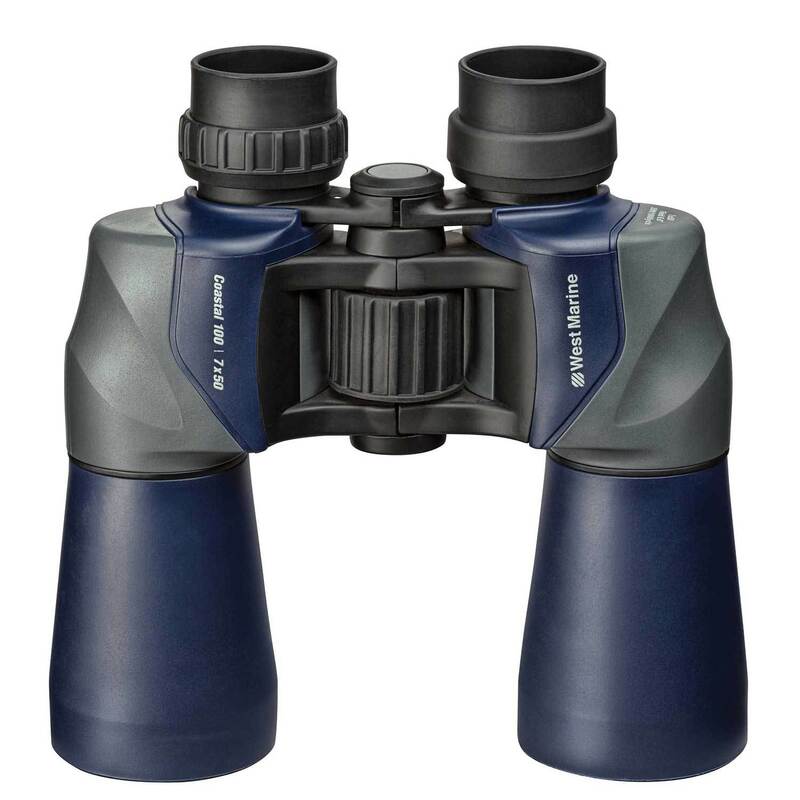 Waterproof construction, with the interior o-ring sealed and filled or “charged” with dry nitrogen, combined with flotation in the strap, protects your binoculars if they fall overboard. Rangefinders are handy for taking bearings or determining approximate height of or distance to an object. Do you need a built-in compass or rangefinder reticule? Bearing compasses: Built-in compasses, which appear superimposed near the image you see through the lens, let you take bearings from an object that would be invisible with a non-magnified hand-bearing compass. They’re highly recommended for marine use. Rangefinder reticule: If you know the height of an object, such as a hill or navigation marker (often printed on charts), and can measure the angle to its top using binoculars equipped with a rangefinder reticule, you can calculate your distance from that object. Do you want image-stabilizing binoculars? Image-stabilizing (IS) binoculars provide a steady image, even on a bouncing boat. The rolling, pitching and bouncing motion on a boat makes it nearly impossible to keep an image in focus using high-powered binoculars unless they are Image-Stabilized. IS binoculars automatically compensate for movement to deliver crisp, sharp images, even at magnifications as high as 18-power, which is more than double the magnification typically found in marine binoculars. Individual focus, center focus or fixed focus? Binoculars may have independent eyepiece focus to compensate for the differences between eyes and for different distances. In center-focus binoculars, one eyepiece adjusts to accommodate the difference between your eyes. A central focus knob then adjusts both sides simultaneously for distance. Steiner Binoculars use a fixed-focus system, with a very deep depth of field, called Sport Auto-Focus. With Sports Auto-Focus, once you’ve adjusted your ocular settings for differences in your individual eyes, you won’t need to adjust the binocular again for varying distances. You’ll get a sharp, clear picture from 50' to infinity. This set-it-and-forget-it system works well when you need to quickly grab your binoculars so you won’t miss the action. How much were you thinking of spending? As the saying goes, you get what you pay for. For marine binoculars, the features we’ll examine here illustrate the difference between economy and premium products. Relative brightness: How bright an image appears is a function of the quality of the optics and the ratio of the objective lens diameter divided by the magnification, squared (50 ÷ 7)2. Thus 7 x 50 binoculars have a relative brightness of about 50, while 8 x 23 binoculars have a relative brightness of only 8.2. Objects will be visible in far less light with the 7 x 50 models. Light transmission efficiency: Cheap glasses may allow only half the light entering the objective lenses to reach your eyes. Our least expensive glasses pass about 75% of the light. Truly exceptional binoculars, such as top models from Steiner and Fujifilm, pass more than 93% to 97% of light to your eyes, making all objects appear brighter. Quality optics also make the image sharper. Inexpensive glasses may produce astigmatic images that are fuzzy at the edges. Superior glasses are sharp from edge to edge and are less fatiguing to the eyes when used for extended periods. 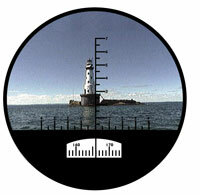 The field of view describes the width of the image you see, measured in feet at the distance of 1000 yards. Binoculars offering 385' field of view show the viewer a cone that is 385' wide 1000 yards out. Higher-powered image stabilized binoculars offer narrower field of view (200–340') than conventional units (up to 430'). Marine binoculars with dogleg-shaped Porro prisms. 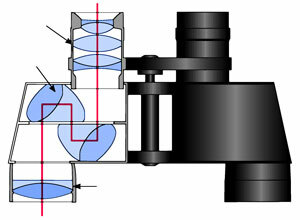 Arrows in the diagram (from top to bottom) Eyepiece lenses / Prisms / Objective lenses. Prisms, used to invert and magnify an upside-down image, are either Porro (binoculars with a dog-leg shape) or roof prisms (with straight tube configuration that are easier to hold). There is some disagreement as to which is best, but it’s generally believed that Porro prisms yield superior optical performance. They transmit more light, resulting in brighter images, and provide better depth perception, because their objective lenses are farther apart. However, some roof prisms with phase shift coating provide excellent performance. Prisms come in two glass types, BK-7 and BAK-4. BK-7 uses boro-silicate glass and BAK-4 use a denser, finer barium crown glass, which eliminates internal light scattering and produces sharper images than BK-7. The higher quality is reflected in the price of the binoculars. Roof prisms are lighter and more compact, but they are more complex and difficult to manufacture and have more precise tolerances, so they are usually more expensive than Porro prisms.